Portland beat Utah to grab the No. 3 seed in the Western Conference, and that allowed the rest of the bracket to be filled in — finally. The Trail Blazers will play No. 6 New Orleans in the first round, and No. 4 Oklahoma City will have home-court advantage against the fifth-seeded Jazz. The rest of the West bracket will be set based on the outcome of the Utah-Portland game. New Orleans will start on the road, regardless of the winner, and Oklahoma City — thanks to its wild 137-123 win over Memphis — could still get a top-four seed. The Oklahoma City guard came into Wednesday needing 16 rebounds against Memphis to average 10.0 boards this season — and got there in the third quarter of the Thunder’s game against the Grizzlies. There’s never been more points in an NBA regular season than this one. For the fourth time in five years, the league’s single-season total points record has been broken. The record from last season was 259,753 points across the league, and that went down as most of the night’s early games were approaching halftime. It’s been a season of milestones for the NBA. The league’s assist record was broken, with the NBA players combining for over 1,000 more than they had last season. And even as the points went up, apparently so did the missing — there were 82,311 defensive rebounds league-wide going into Wednesday night, and that was another NBA record. When LeBron James took the floor for Cleveland against New York on Wednesday night, it represented a first for the four-time MVP — this is the first of his 15 seasons in which he’s played in every regular-season game. James has ordinarily sat out games at the end of the season when the Cavs have a seed locked up. That didn’t happen before the finale this year, so James played all the way to the finish. Cleveland can finish No. 3 or No. 4 in the East, depending on the outcome of its game against the Knicks and the Milwaukee at Philadelphia game. James’ previous high for appearances was 81, back in the 2008-09 season. He says he’s tried this season to “change the narrative” about what a player in his 15th season is capable of doing. Kyle Lowry, DeMar DeRozan and Jonas Valanciunas are all in the starting lineup Wednesday for Toronto at Miami. The Raptors not only have the No. 1 seed in the Eastern Conference wrapped up, but they’ll also finish with the NBA’s second-best record behind Houston. Casey says the Raptors have been mindful of minutes all season for the team’s “high-usage” players like Lowry and DeRozan. 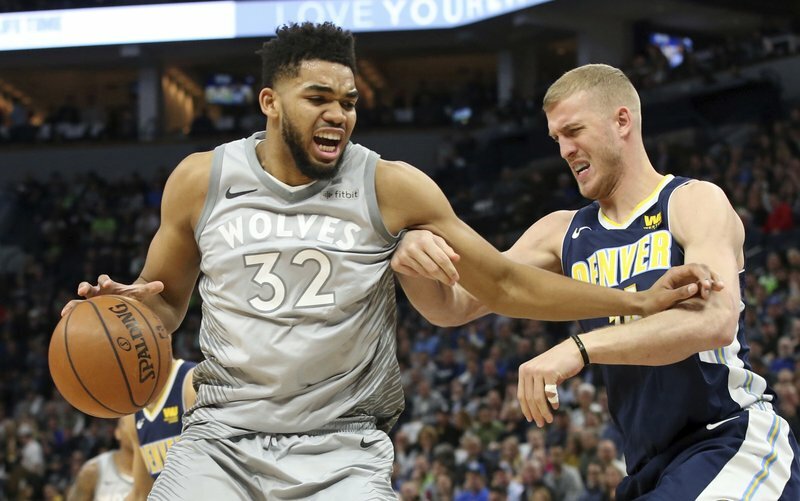 The biggest game on Wednesday’s slate is the Denver at Minnesota contest, the first last-day-of-season game in 21 years where the winner will go to the playoffs and the loser will miss the postseason. Utah’s game at Portland will decide the No. 3 seed in the Western Conference.